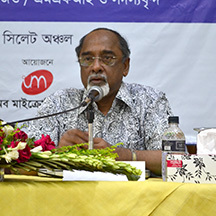 Institute of Microfinance (InM) organized a Regional Dialogue on 19 April 2014 in Sylhet with the NGO/ MFIs working in the division and their members. The dialogue was graced by the presence of Dr. Qazi Kholiquzzaman Ahmad, Chairman, InM as the chief guest and was presided over by Professor M. A. Baqui Khalily, Executive Director, InM. Dr. Md. Mosleh Uddin Sadeque, Director (Training & Operations) and Mr. Shabbir Ahmed Chowdhury, Advisor, (Training) were also spoke on the occasion. Mr. Md. 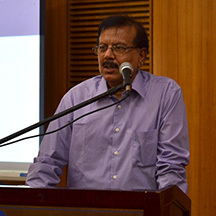 Abdul Hye Mridha, Senior Deputy Director (Training & Admin.) was conducted the event. The second session of the dialogue was with the executive heads of the NGO/ MFIs of Sylhet division, practitioners and stakeholders. This session aimed to understand the needs, problems and challenges being experienced by the NGO/ MFIs and way outs. 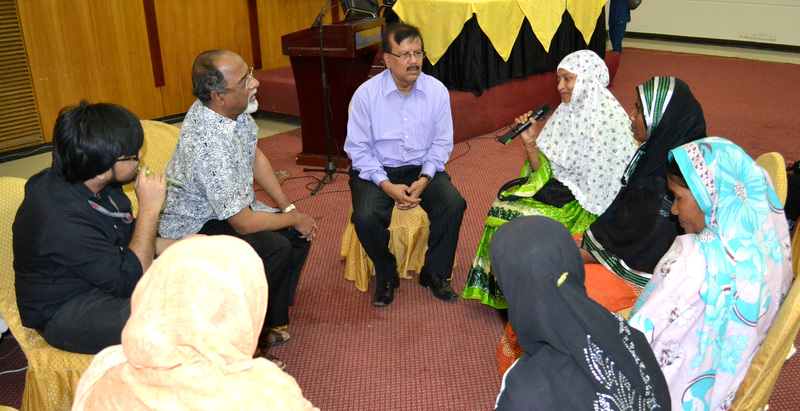 A total of 169 Senior Officials from NGO/ MFIs participated in the dialogue. Discussions highlighted the challenges in working with the impoverished people of haor, tea- garden ethnic groups etc. These will help InM to design its training, and research programs with a approach and addressing the evolving issues with a more down to earth approach. 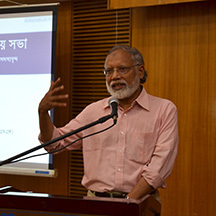 Dr. Qazi Kholiquzzaman Ahmad, Chairman, InM hoped that this cross learning between InM and borrowers/ practitioners and stakeholders in many of the issues that were not spelt out earlier will open a new dimensions for the policymakers/ practitioners in formulating future poverty alleviation programs. Dr. Ahmad mentioned that, the country’s poverty in general has come down and we have done quite well apparently to achieve the Millennium Development Goal (MDG). The national economic growth, despite of global credit crunch, has been better than any others in the neighborhood. He appreciated the initiatives where he could discuss freely with the participants and he also ensured all kinds of support to them. In the concluding remarks, Professor Khalily said that there was much to be done on how to integrate development initiatives/ programs to mitigate challenges faced by the members/ institutions and o enhance their capacity. InM can play a significant role in these areas through collaboration on the priority agenda.